I'm struggling with reviewing this book without discussing a major spoiler. Truth be told, readers know the truth of that spoiler long before Lane does. It's actually revealed fairly early on in the book so for me to tell you doesn't necessarily spoil the book for you. And I really wish someone had spoiled the book for me because, honestly, I might not have read it at all if I had known what was at the heart of the story. I certainly would not have chosen it for a book club read. That being said, I'm not going to tell you the secret. Because I just can't do that. Just know that it might be a trigger for some people. I'm also struggling to figure out my thoughts on this book beyond that key point, so I guess I'll resort to that simple review format I'm fond of when I'm struggling. Engel writes terrific flawed, scarred characters. Lane, Allegra, and the boys they become inexorably involved with, Tommy and Cooper, are complex characters that drew me into their lives. I could feel their pain and their struggles. Engel seems to have a knowledge of small towns on the prairie and the kinds of relationships small town inhabitants have with one another. She also seems to have a love of the land. The ending was not altogether unexpected but it was satisfying, particularly in the way that Engel left somethings open. I liked the way Engel interspersed the stories of the Roanoke girls that came before Lane and Allegra into the story as a device to further the story. It gave the reader insight that Lane and Allegra didn't have and I did find myself needing to remember that they were working with less information than I had. 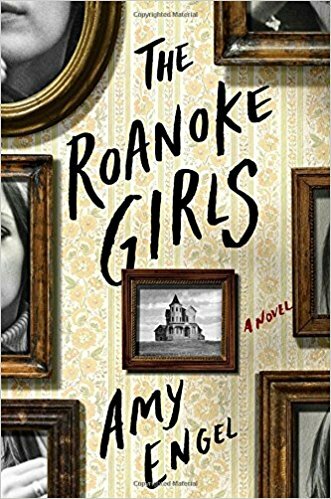 On the other hand, this would have felt much more like a thriller if I had not known what I knew about the prior Roanoke girls, if that spoiler had been revealed much deeper into the book. Also, it kept making me hope that perhaps Lane was a really unreliable narrator and things weren't what they seemed. There are two characters that work on Roanoke that know the truth. The way that one of them is convinced to keep the secret seemed a little contrived to me. And the truth of how the other was convinced to keep the secret was never really revealed. I would have liked that to have been played out on the pages. Lane returns to Roanoke to help find Allegra. But very little of her time seems to actually be spent trying to find Allegra. Frankly, the local police don't seem to be doing a whole lot to look, either. I get that Allegra was for whom disappearing wasn't altogether out of the ordinary. But by the time Lane had gotten half way across the country, it seems like the search might have picked up. Small towns tend to pull together when one of their own goes missing, even when it's someone who isn't particularly loved. I'm looking forward to talking about this one with my book club. I'm going to beat there were some who didn't finish the book because they couldn't make themselves. And I'm going to beat that I can guess what one word they would all use to describe the book if they were only allowed one word. But I can't tell you what that word is because I feel like even that much would be a spoiler. I'll just leave you with this reminder that this entire book is centered around something that may be a trigger for some people. Maybe thumb through it a bit before you actually choose to read it. This was a book which upset me when I read it which was months ago. It still resonates with me. Very disturbing. Trigger warnings are so important. I have no interest in reading this book. I don't know exactly why. The blurb just doesn't do it for me at all.